Both hot-finished and cold-finished seamless mechanical tubing up to 12.75” outside diameter is a staple for Omega Steel. 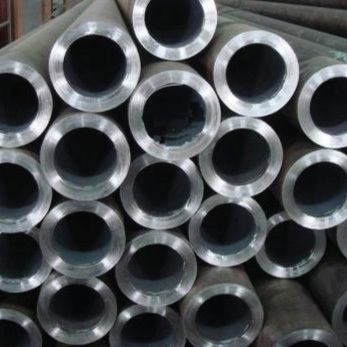 Be sure to specify your exact finished dimensions, and/or chemical requirements to your Omega Steel sales representative so that we may quote you in the most economical manner possible. 1018 0.15-0.20 0.6-0.9 0.04 0.05 . Up to 2.99" +/- .02"
3" – 4.499" +/- .025"
4.5" – 5.999" +/- .031"
6" – 7.499" +/- .037"
7.5" – 8.999" +/- .045"
9" – 10.75" +/- .50"
* OD tolerances are not applicable to normalized and tempered or quenched and tempered conditions.